Summertime is here, and I know I’m not alone — I miss being a kid in the summer! No school, no work, just an endless stretch of possibility. 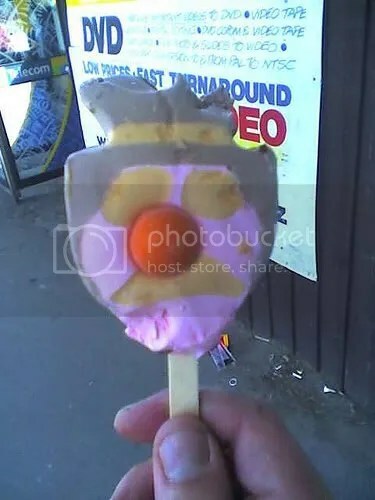 And nothing was better summer fuel than the ice cream man. Then he’d arrive, and it was magical (AHHHHH!!!). Right there in front of you on your humble hometown street, was a man who had a freezer on wheels, and the world was your oyster. So to speak. An oyster man would be a much different sort of event. Part of me always wanted to be like Aldo Applesauce, and sample every bit of variety that was on that truck. But my nature is to stick with something I love, once I’ve tried it. I did a decent job experimenting, but I had my staples. Here they are, reverse countdown-style! This was terrible gum. But if you were an ’80s child, gum was all-important to your quality of life. More to the point, this gum cost 10 cents. I’d never just get this gum, but it was an excellent supplement, budget-wise. Now I’m getting scared that I remember when a lot of things were 10 cents. C’est la vie. 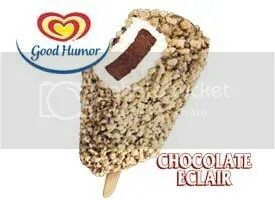 I’m into chocolate, but it was my dad who gave me an appreciation of nutty ice cream. He was really into praline pecan (do they make that anymore? ), butter pecan, that sort of thing. And Toasted Almonds are very tasty, though not chocolate. My first drink was a Toasted Almond too! That’s a White Russian with amaretto instead of vodka. Delicious. 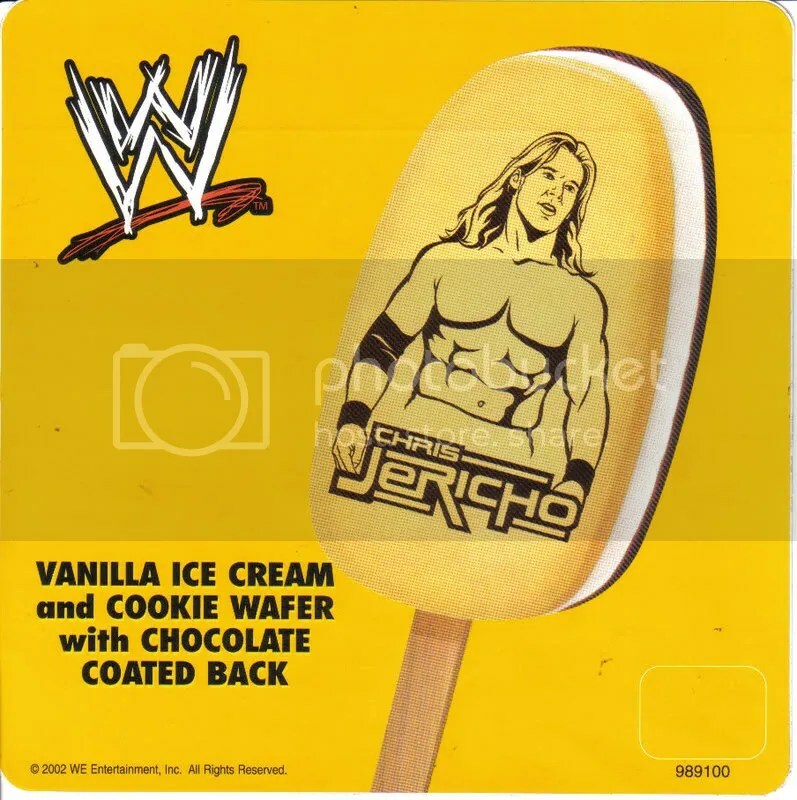 If you were broke, this was the ice cream to get. Significantly cheaper, and very tasty. Also as a side benefit, not many calories! There was something so fancy about the cold Snickers that you could acquire from the ice-cream man. A simple candy bar…but frozen. 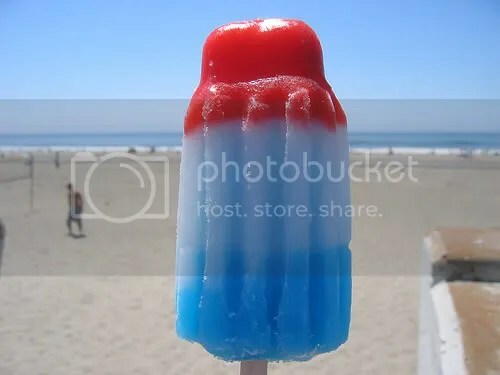 I was never super-into ices, but rocket pops are special. The distinctive colors, the different flavors…my favorite has always been the middle. I love lemon ice! 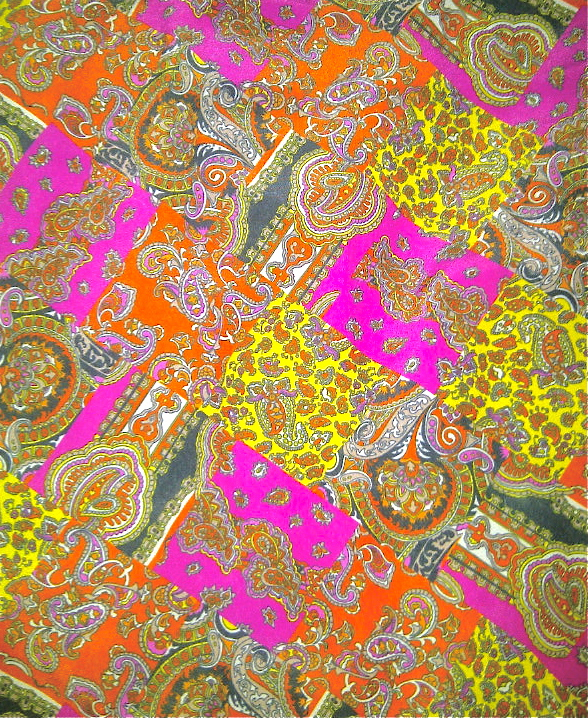 Fruity, creamy, and PINK. What’s not to love? But thank you to either one, because wrestling pops are delicious, and had I discovered them sooner, they may have placed higher on the list. Let’s put it this way. If I’d made this list when I was 12, Chipwiches wouldn’t have even placed. They are that delicious. Making up for years of nostalgia with flavor. Fun Dip/Lik-M-Aid (I called it Fun Dip, but on “Freaks and Geeks,” they called it Lik-m-aid, which I now see is the brand) was the BOMB. Something about having in front of you, not one, but three artificially colored and flavored pockets of sweet and sour powder? That you could scoop up with a sweetish chalk stick? And then after all the powder was consumed, eat the stick??? That is Childhood Awesomeness 101, right there. However, from the first time I had the original chocolate bar ice cream, I was hooked. The hard exterior displeased me, but something about that middle part. It’s way small, but so dense, and freaking DELICIOUS. I never choose anything else, to this day, so long as this pop is available. So! 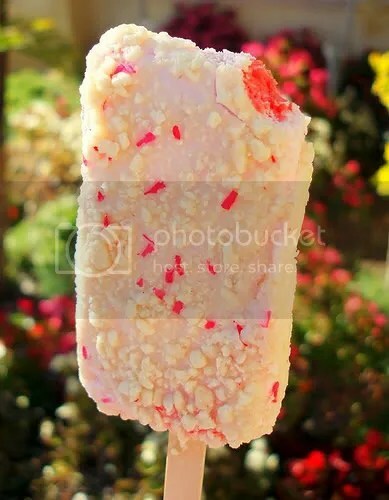 What is/was YOUR favorite ice-cream man treat? Stories! Pictures! Taciturn responses! I — nay, the world, want(s) to know! This entry was posted in Books, Childhood, Family, Food, Friends, Lists, Miscellaneous and tagged 10 cent gum, Aldo Applesauce, Bubbl-O Bill pops, Chipwich, Chocolate Eclairs, Chris Jericho, Fortune Cookie buggle gum, Freaks and Geeks, frozen Snickers, fudge pops, Fun Dip, Good Humor, ice cream man, ice cream pops with the chocolate bar in the middle, ice cream truck, Lik-M-Aid, rocket pops, Strawberry Shortcake pops, Toasted Almond bars, wrestling pops. Bookmark the permalink. During their heyday, those bars were called Chip Candy Crunch. At some point, they were renamed Candy Center Crunch, which is atrocious. Ohhh, that explains some stuff! I lay claim to the WWF bar introduction, as I also got Eric into them. They probably are my favorite ice cream man ice cream, full stop. (It seems redundant to write “full stop”, followed by an actual full stop.) I wonder if they were more helped or hindered by the WWF license, since I’d assume it drew a lot in and turned a lot off with the license. I think the first alcoholic drink I ever ordered in America (I got a screwdriver (lame) in England since it was legal for the hell of it) was a Toasted Almond. It made me violently ill, and ever since then I’ve had an aversion to “creamy” alcoholic drinks. Although that isn’t nearly as dramatic as the “Toasted Almond vs. Chocolate Eclair” SSCS war. I feel like I would have tried the wrestling bars sooner if they weren’t wrestling. Nothing against wrestling; I just wrongly assumed that it was more gimmick than taste. But they tasted GOOD! Weird we both had Toasted Almonds. The SSCS war was the best :-D� I was chocolate eclair, yes? And you were toasted almond? Was SS even a contender? I kind of like SS best nowadays, not that I’ve had any of those in over a year. I didn’t get into strawberry ice cream until I was like, 25. I haven’t had any of those three in like 15 years, though. Why can’t I reply to you? Anyway, whoa, not till 25? That’s interesting! Especially since you never had that obligate chocolatevore thing like I did.